“Stairway to heaven”, by Led Zeppelin, is our favourite song. This is one of the reasons why we call the vineyards around Cascina Valmenera, the heart of the estate, where we have the cellar, “our stairway to heaven”. They rise vertically upwards. An amphitheatre made up of rows of vines that seem to climb towards the sky. 10 hectares which enjoy southerly exposure, all planted by us. We own a total of 13.5 hectares of vineyard. All in the Roero, in the municipalities of Vezza d’Alba, Monteu Roero and Canale: almost all cultivated with Nebbiolo and Arneis (80%); the rest are Favorita, Barbera and Bonarda. Gigi planted the first vineyard on the family estate in Priocca in 1977. He was just 12 but he already knew what he wanted to do. Tending vineyards is the best job in the world. We take care of both the vines and emotions. We like to say that we work with our hands. You might be interested to know that some of the vine rootings in our vineyards have been planted by friends and clients who have come to visit us from all over the world, from Switzerland to Sweden and America. Every vine has a plate indicating the name of the person who planted it. Vigna Sant’Anna is our greatest vineyard: one hectare of Nebbiolo planted in 1954 by our grandfather, Giovanni Porello. This is where our Roero Vigna Sant’ Anna is born. We have kept it exactly the way it was: steep, with narrow spaces between the rows. Everything is done exclusively by hand, we even cut the grass by hand. We have chosen to tend the vineyard and make the wines the way grandpa Giovanni did. We are on a hill 350 metres above sea level, in sandy lime soil, typical of the Roero district, exposed due south. The grape yields are very low. We manage to harvest about 6.0 tonnes, which correspond to 4000 bottles. 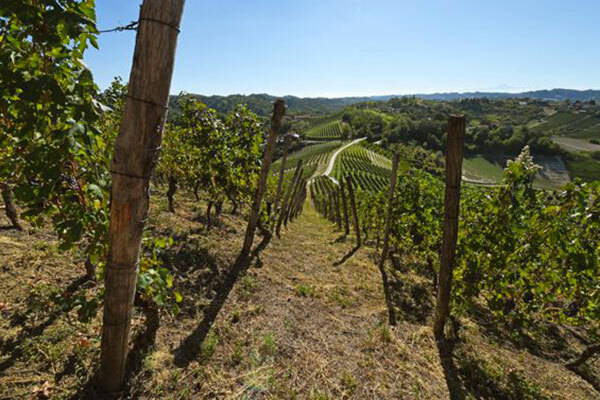 The other cru is Vigneto di Cascina Penna – Menzione “Sru”: three hectares which enjoy easterly exposure, set in an amphitheatre with a big cherry tree in the middle. This vineyard was planted with Arneis, Favorita and Barbera in 1997, the year before we got married. We are going to use it to make the cru Roero Arneis “Sru”. We love and respect our vineyards, and, in 2016, we joined “The green experience”, (thegreenexperience.it), a project conceived by Coldiretti Cuneo; a certification for those who want to implement sustainable and integrated viticulture. The aim is to defend the soil and biodiversity, offer consumers a guarantee and take care of the UNESCO landscape. 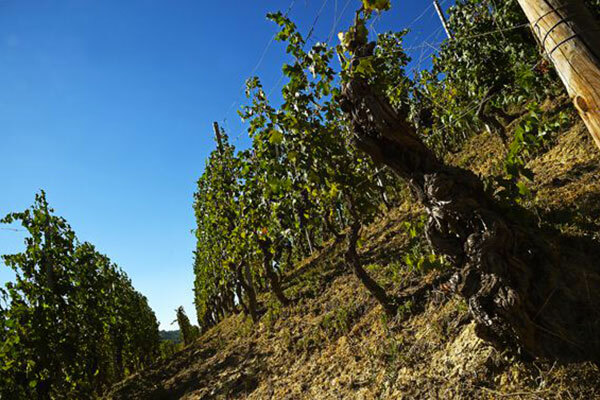 We have completely eliminated the use of chemical herbicides in the vineyards. We use the green manure technique and sow flowers and pulses in autumn, to naturally fertilise the vineyard. We respect the soil and the animals that live in our vineyards: the insects and numerous species of birds that help naturally fight parasites.